The international human rights organization Save the Children said on Tuesday that dozens of migrants traveling to Sicily are feared dead following yet another tragedy in the Mediterranean Sea. According to Reuters, Save the Children believes at least 40 people drowned on Sunday after falling overboard while sailing from several African nations to Southern Europe, looking to escape poverty and war and start a new life once they reached Europe. It's the latest maritime tragedy connected to the large-scale immigration of African and Middle Eastern migrants to Italy, which has seen thousands of people wash up on its shores since the beginning of 2015. Giovanna Di Benedetto, a spokesperson for the local Save the Children chapter in Southern Italy confirmed the deaths to Reuters. Save the Children reportedly conducted interviews with many survivors of the shipwreck, who landed safely on the shores of Sicily. The organization said Tuesday that about 240 migrants, hailing from Ghana, Gambia, Senegal, and the Ivory Coast, were traveling on Sunday across the Mediterranean. The travelers were later rescued by a Maltese merchant ship, Reuters reported. Save the Children added that the 240 migrants were traveling on two separate vessels — small rubber boats typical of these migrant journeys from North Africa to Sicily and Southern Italy. These vessels, however, have proven dangerous, placing travelers in unsafe conditions that oftentimes have led to shipwrecks and other accidents. Italy's coast guard said on Monday that between 6,000 and 7,000 migrants were rescued from the Mediterranean in several different rescue operations over the weekend. Officials said nearly 20 boats were rescued, but just 10 bodies have been recovered from the water so far. A video posted Monday on The Telegraph website shows hundreds of migrants being rescued from the sea by members of the Italian coast guard and navy. 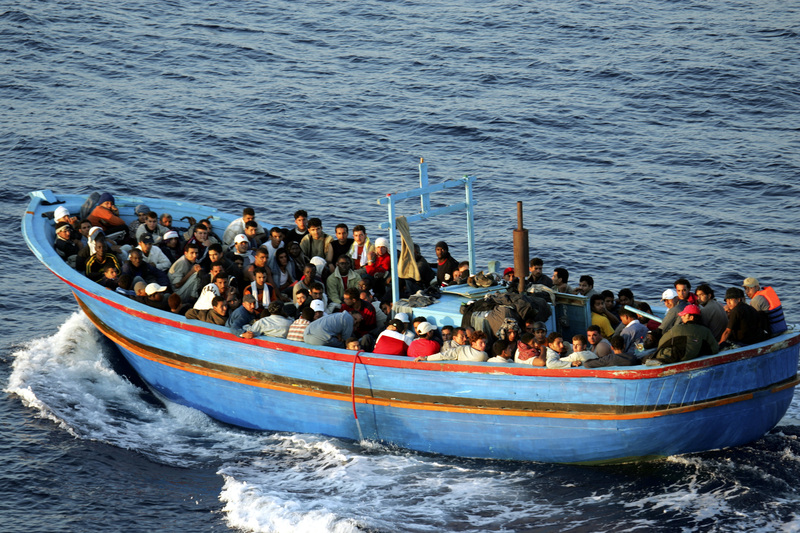 The rescued migrants were taken to ports in Sicily and the Italian province of Calabria. This latest incident comes two weeks after at least 900 people drowned in the worst Mediterranean-migrant disaster yet. According to the United Nations Refugee Agency, the migrants killed in the shipwreck hailed from a number of nations, including Syria, Somalia, Mali, Senegal, Gambia, Ivory Coast, and Ethiopia. The U.N. said at the time that only 28 known people survived that shipwreck. In 2014 alone, an estimated 170,000 migrants crossed the Mediterranean Sea and arrived on the shores of Italy, according to the UN Refugee Agency. As of mid-April, the U.N. estimated that more than 31,000 migrants have already traveled to the Southern European nation since early January. With the number of people fleeing North Africa and the Middle East, including the tumultuous Syria, human rights workers and members of the Italian government have been calling on the European Union to provide more support and resources in this migrant crisis. Even Pope Francis — who, of course, lives not far from Southern Italy in Vatican City — has stepped in, using his clout as the world's foremost religious leader to pressure government officials into action. "We must not tire in our attempts to solicit a more extensive response at the European and international level," Francis said in April, following a meeting with Italian President Sergio Mattarella. Mattarella echoed Francis, saying, "These broken lives [of the migrants] compromise the dignity of the international community and we are in danger of losing our humanity."